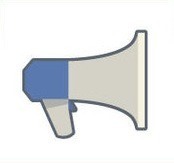 Dear Facebook: Why Can’t You Just Give Us An Unfiltered Chronological Feed?! It's old news to most people: You filter the posts we see from friends and Pages, so what we see in our news feed is only a fraction of the content that we are actually connected to. There are lots of hacks and tricks to help us see the things you hide from us, but many of us are still left asking: Why can't you just show us an unfiltered feed of everything? The reason, you say, is because users would be too overwhelmed. They can't handle that much content. Trust you. You know better than we do. You're looking out for us, right? You want to protect us from overload. Oh, and by the way, you make money by charging people and Pages to make their content appear in more users' feeds - something Mark Cuban recently got attention for complaining about. But I'm sure that has nothing to do with why you filter the feed, right? Of course. So I ask again: Facebook, why can't you just give us an unfiltered chronological feed?! Why must you be different? Hey, you don't even have to make it the default. For most users, you can still control and manipulate what they see in their feed. But why not let "power users" see the whole feed, and let us suffer in the landslide of content? Why not let us decide if we like it better? Why not just make it an OPTION?! 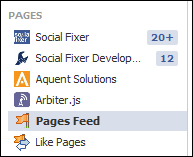 Today, you released a new feature - the "Pages Feed". We see that this is an attempt to silence critics like George Takei, who is a vocal and popular opponent to your filtering. This view gives you a view of Page posts from your feed. But they are not in order! What the WHAT?! 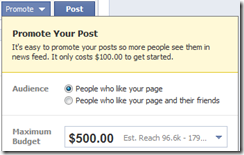 Facebook, how could you screw up something so simple?! And is that feed really unfiltered? So far, no one has confirmed it either way. Let's hope it is. I'm not confident. Seriously, Facebook, please listen to your users. Give us the option to see an unfiltered, chronological news feed, and allow us to make it our default - on the web and on mobile. You can put ads in our feed, on our sidebar, and still allow promoted posts to those who stick with the default filtered view. Fine. But don't take away our content, or you become less and less useful to us. When I tell my Tivo to record episodes of Modern Family, it doesn't pick out the ones it thinks I will like best and only record them, does it? When I subscribe to a magazine, the publisher doesn't deliver only the issues that it thinks I will be most interested, does it? The Post Office doesn't filter my mail, in order to protect me from drowning in all the catalogs, magazines, and junk mail that I've requested, does it? No. It delivers everything I've asked for. Why, Facebook, can't you just be like everyone else and let me see what I've said I want to see?! Why must you think you know what I want better than I do? Why? We like you, Facebook. We want to stay. Just show us all the witty posts from our friends, the cat pictures from our Pages, the gay puns from George Takei, and comics from The Oatmeal. Even the ones you don't think we'll like. We'll manage. I promise. What are your thoughts? Discuss on my Facebook Post about this blog entry. Please LIKE and SHARE if you agree! Make your voice heard!